adidas continues to dress some of the beloved models in “Triple Black” and the latest to receive the popular theme is the adidas NMD City Sock 2. 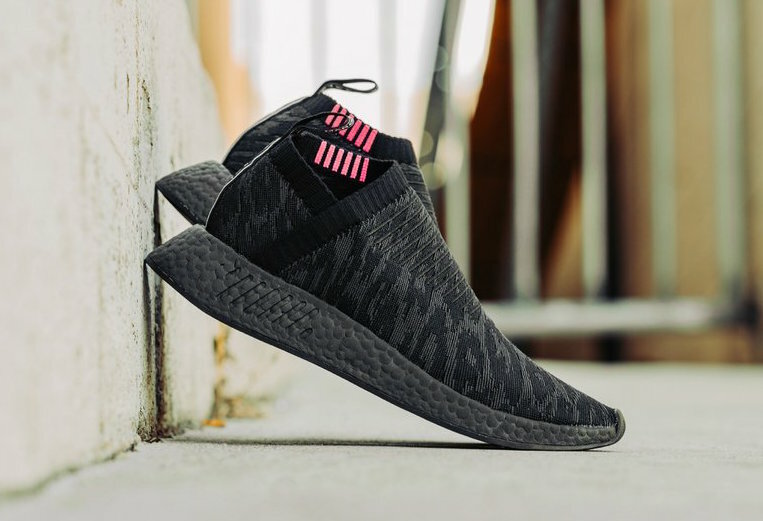 This adidas NMD CS2 features a full Black Primeknit upper paired with hits of Pink on the sock-like collar. White detailing appears on the pull tabs completed with a Black EVA insert overlay, Boost midsole and rubber outsole. Look for the adidas NMD CS2 “Triple Black” to release this March 2018 at select retailers and adidas.com. The retail price tag is set at $180 USD. UPDATE: adidas has released the NMD CS2 “Triple Black” that’s arriving to retailers like Feature.